At the beginning of January Alexe Dembélé, AVN-Mali’s National Coordinator invited Amadou Tall, local representative of the Kounda 78 Association and Mr. Barry, President of the Lontou Education Council, to a preliminary meeting to discuss an eventual partnership for the construction of school buildings in the Circle of Kayes. The meeting started with visits to two NV schools in the villages of Koba and Fanssira (Commune of Yékéboubou – Cercle of Kati) and continued to N’Golofala with visits to NV houses and dispensary. This field trip also provided an opportunity to ask NV artisans and masons about such issues as techniques for protecting external walls of NV buildings, the quality of earth to be used, protection against termites etc. The answers to such questions convinced the two visitors of the viability of the NV concept. There are many advantages of the NV concept for schools. 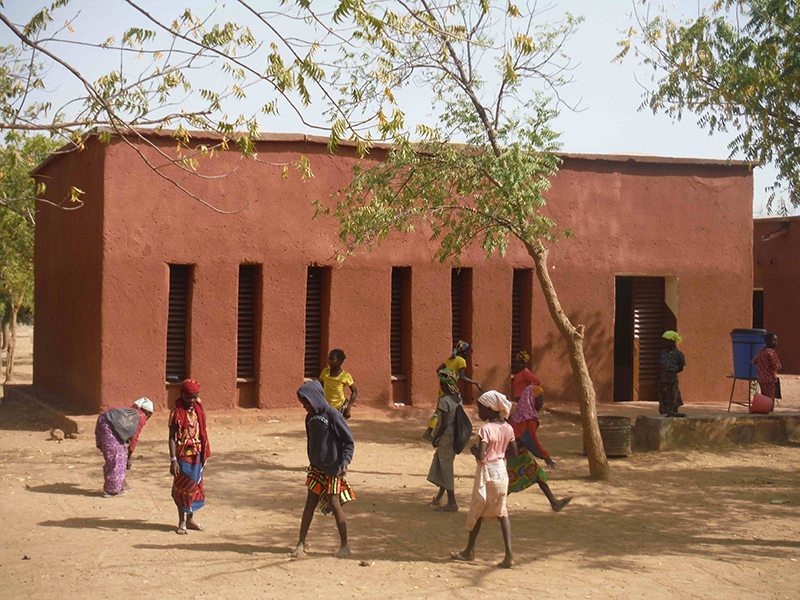 The thermal comfort of a NV building helps the pupils to study more effectively, an essential point made in directives from the Malian Ministry of Education and confirmed by M. Barry: "In Lontou, from March onwards classes are cancelled every afternoon because of the excessive heat. If the schools were built in the NV style classes could be held all day, allowing the teachers to complete the year’s school programme". 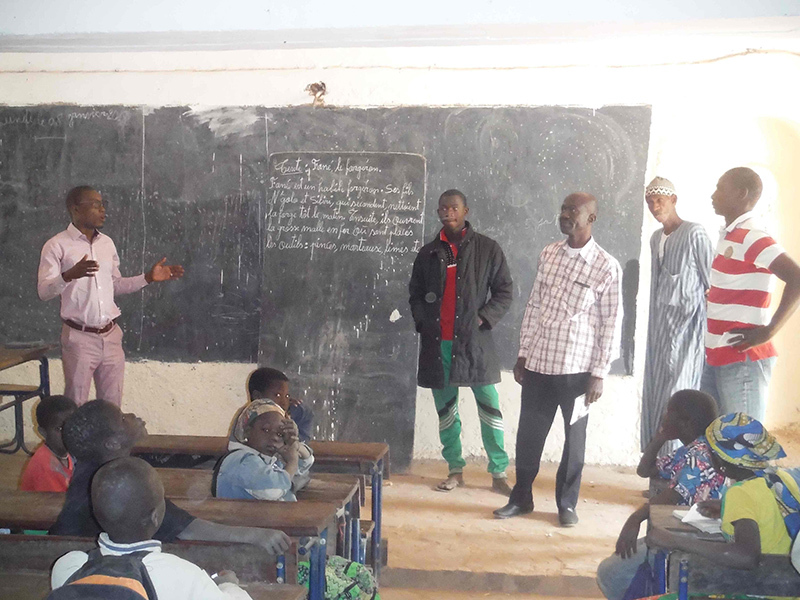 This first phase of the project was a success, and Mr.Tall and Mr.Barry have welcomed it with open arms and hope to get strongly involved in its diffusion in the Commune of Hawa Dembaya. As a result of the agreements which will shortly be made between AVN and Kounda 78, the implementation of the NV programme in the Kayes Cercle could develop over several years. AVN is already present in the Kayes region through its role in the project on management of natural resources in the context of climate change (Gestion des Ressources Naturelles dans un Contexte de Changement Climatique - PGRNCC), financed by the AEDD, which promotes the NV concept (awareness raising, training, duplication) in 14 Communes, and more recently in a project to train three conventional masons from the Cercle of Yélimané.